Over the years – I’ve heard the theory that you’re either a Stones fan or a Beatles fan. 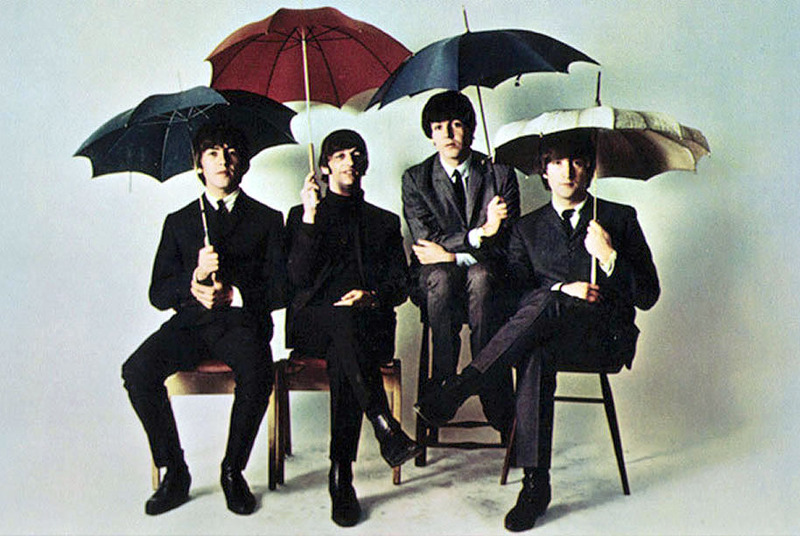 I would have to say – the Beatles won my heart at a tender age. One of my earliest childhood memories are of my Dad strumming the guitar and serenading me with ‘Eight days a week’. As I grew older and worked out how to use the record player – all the records my parents had collected in the years prior to children were tested out. Lucky for me there were a number of Beatles greats like Abbey Road and the White Album. In my early teens I took the limited edition A4 posters of the boys out of the White Album and blue tacked them to my bedroom wall (along with tear outs from Dolly magazine) – now all these years later, I have inherited the album but where o where are those posters! Deary me! 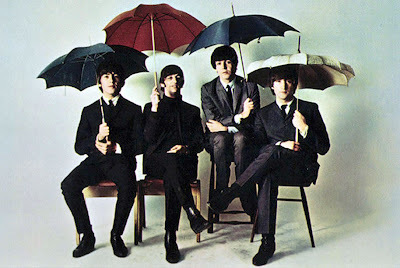 As an older teenager – a boyfriend I had, had perfected the art of singing and playing ‘Blackbird’ on his guitar and my love for those Beatle boys grew. It was only in later life that I learnt the true meaning of the lyrics to that song and that 'bird' is British slang for girl, making 'blackbird' a synonym for 'black girl’. Apparently McCartney was inspired to write it as a reaction to racial tensions escalating in the United States in the spring of 1968. There you go! Over the years I have got to see lots of great musicians in concert – I only wish I could transport back in time to go to a Beatles concert (can you imagine all the screaming though! )….oh well, I’ll just have to console myself with singing along in the car and rocking out with the kids! 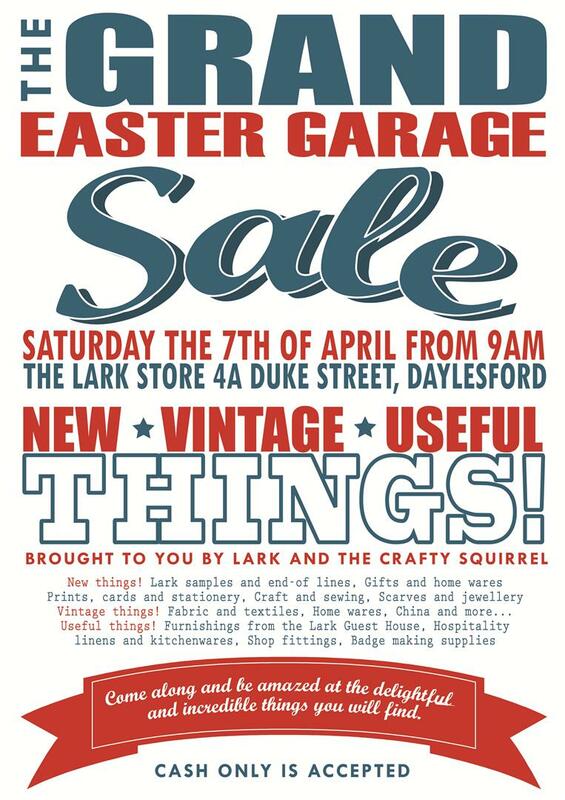 Finally - I have a chance to let you know about this fantastic sale that is happening on Easter Saturday - yep you heard right! This Saturday in the picturesque town of Daylesford...I am packing up shop and joining my friend Allison in having the biggest garage sale you have ever seen! I have gone through the Crafty Squirrel shop, the shop store room, my office and sewing room, my studio and various other places I have stashed crafty bits and bobs away and have come up with the most amazing pile of vintage tea towels, aprons, table cloths, fabrics, sewing notions and of course lots of my very own Cast offs winter woollies like scarves, kilt pins, head bands and hats - samples and seconds. Plus lots of treasures from the shop at 50% off and lots of other cute stuff at great prices. It feels so good to have such a big clean out and now I need your help to come and make it your own! So...make a day of it and see me there! You won't be sorry - this is one sale you don't want to miss! !